UPDATE (Jan’ 2012): The changes made in Dec’ 2011 in small saving schemes (NSC, PPF, SCSS, 5-Yr POTD) eligible under Section 80C have been included. Section 80C of Income Tax Act, 1961, sets out a number of options or tax-saving instruments that are eligible for tax deduction. Broadly, we can divide tax-saving avenues into two categories: first is expenditure related deductions such as tuition fees and home loan principal repayment; and second is investment instruments or options such as EPF (Employee’s provident fund), VPF (Voluntary provident fund), PPF (Public Provident Fund), NSC (National Savings Certificates), ULIPs (Unit-linked insurance plans), ELSS (Equity linked savings scheme), SCSS (Senior Citizens Savings Scheme), 5-Yr POTD (Post office time deposits), 5-Yr tax-saving fixed deposits (FDs) of banks, Mutual funds pension plans , NABARAD (National Bank for Agriculture and Rural Development) Rural Bonds and life insurance premium. 1. Tuition Fees: Expenses – only tuition fees – incurred on children’s full time education in India are eligible for deduction under section 80C. No other charges or expenses are allowed. 2. Repayment of principal sum of home Loans: The EMI (Equated Monthly Installment) that you pay against your home loan comprises of two components - principal and interest. While principal part is deductible under section 80C, there is a separate deduction for interest portion under section (u/s) 24(b) of Income tax Act. For further details, please read, "Housing Loan Tax Deduction: Comparison between Section 80C and Section 24(b)". 3. Expenses incurred on purchase of house property: Stamp duty, registration fees, and other expenses incurred for the purpose of purchase of house property are also entitled for section 80C deduction. 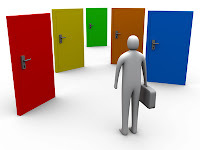 Investment options / avenues u/s 80CVarious investment options can be broadly divided into three categories: first is equity instruments, second is debt instruments and third one is life insurance and pension plans. 1. Equity linked savings scheme (ELSS): Considered as the best section 80C option, it’s a mutual fund scheme investing entirely in equities and therefore has the potential to deliver the best returns. For more details please read, “ELSS – The Best Section 80C option”. 2. Public Provident Fund (PPF): Among all the assured returns small saving schemes, Public Provident Fund (PPF) is one of the best. Current rate of interest is 8% (8.6% from Dec'11)tax-free and the normal maturity period is 15 years. Minimum amount of contribution is Rs 500 and maximum is Rs 70,000 (Rs 1 lakh from Dec 2011). A point worth noting is that interest rate is assured but not fixed. For details, please read “PPF vs. NSC- Which is Better?”. If you're interested in investing in PPF, first get yourself acquainted with certain practical tips and tricks to be followed while investing in PPF. 3. Employee’s Provident Fund (PF): PF is automatically deducted from your salary. Both you and your employer contribute to it. While employer’s contribution is exempt from tax, your contribution (i.e., employee’s contribution) is counted towards section 80C investments. You also have the option to contribute additional amounts through voluntary contributions (VPF). Current rate of interest is 8.5% per annum (p.a.) and is tax-free. UPDATE (Jan’ 2012): Rate of interest is declared every year; since 2005-06 it was 8.5%, but increased to 9.5% for FY 2010-11; for 2011-12 it is yet to be declared but might again be lowered to be around 8.25-- 8.6%. This interest you earn on your EPF deposits is also tax free / exempt. 4. National Savings Certificate (NSC): National Savings Certificate (NSC) is a 6-Yr (5-Year from Dec 2011)small savings instrument eligible for section 80C tax benefit. Rate of interest is eight per cent compounded half-yearly, i.e., the effective annual rate of interest is 8.16% (8.57% from Dec' 2011). If you invest Rs 1,000, it becomes Rs 1601 after six years (Rs 1509 after 5 years). The interest accrued every year is liable to tax (i.e., to be included in your taxable income) but the interest is also deemed to be reinvested and thus eligible for section 80C deduction. UPDATE (Jan’ 2012): A new 10-year NSC with an interest rate of 8.7% (compounded half-yearly) has also been introduced from Dec 2011. The effective interest rate is 8.89% and Rs 1000 will become Rs 2,343/- after 10 years. 5. Senior Citizen Savings Scheme 2004 (SCSS): A recent addition to section 80C list, Senior Citizen Savings Scheme (SCSS) is the most lucrative scheme among all the small savings schemes but is meant only for senior citizens. Current rate of interest is 9% per annum payable quarterly (Interest rate retained at 9% for the FY 2011-12 as per the recent changes made in Nov’ 2011). Please note that the interest is payable quarterly instead of compounded quarterly. Thus, unclaimed interest on these deposits won’t earn any further interest. Interest income is chargeable to tax. Further note that the investment made in SCSS qualifies for deduction under section 80C, but unlike PPF, interest earned is taxable. UPDATE Jan 2012: From FY 2012-13, the interest rate on SCSS will be linked to 5-yr Government Securities and will offer one per cent more than the average yield of the benchmark bond during previous financial year. 6.5-Yr post office time deposit (POTD) scheme: POTDs are similar to bank fixed deposits. Although available for varying time duration like one year, two year, three year and five year, only 5-Yr post-office time deposit (POTD) – which currently offers 7.5 per cent (8.3% from Dec 2011)rate of interest –qualifies for tax saving under section 80C. Effective rate works out to be 7.71% (8.56% from Dec 2011)per annum (p.a.) as the rate of interest is compounded quarterly but paid annually. The Interest is entirely taxable. UPDATE Jan 2012: From FY 2012-13, the interest rate on 5-year post office time deposit (POTD) will be linked to 5-yr Government Securities and will offer 0.25% more than the average yield of the benchmark bond during previous financial year. Further, as per the changes made in Dec 2011, premature penalty stands reduced from 2% to 1%. 7. 5-Yr bank fixed deposits (FDs): Tax-saving fixed deposits (FDs) of scheduled banks with tenure of 5 years are also entitled for section 80C deduction. At present, rate of interest offered on these FD’s is at par with plain vanilla FDs. For instance, current – as on 2nd February 2009 – applicable rate of interest on ICICI Bank ‘Tax-Saver Fixed Deposit’ is 8.25% per annum (p.a.) for general category and 8.75% for senior citizens which are similar to what the bank is offering on its other fixed deposits of similar maturity. Likewise, SBI (w.e.f. 01.01.2009) is currently offering rate of interest of 8.5% for general public and 9.0% for senior citizens on SBI tax-saving FD’s called “SBI tax saving scheme 2006 (SBITSS)” which are also same as being offered on other FDs with similar tenure. However, remember that unlike plain vanilla FDs, premature exit is not possible. Besides, interest income is taxable. 8. NABARD rural bonds: There are two types of Bonds issued by NABARD (National Bank for Agriculture and Rural Development): NABARD Rural Bonds and Bhavishya Nirman Bonds (BNB). Out of these two, only NABARD Rural Bonds qualify under section 80C. At present, ‘NABARD rural bonds’ are not open for subscription. Last year NABARD opened the subscription for these bonds – 5-Yr tenure carrying coupon rate / interest rate of 8.25% – during end of January 2008 but received a lukewarm response. 9. Life Insurance: Any amount paid towards life insurance premium for yourself or your family (spouse and children) is eligible for section 80C tax break. This is the most popular investment avenue among all the tax-saving instruments but for all the wrong reasons. If you would like to know why, please read “How to do Section 80C tax planning”. 10. Unit linked insurance plans (ULIPs): Although, Ulips gets covered under life insurance, but still require a specific mention due to their immense popularity. Undoubtedly, better than traditional insurance plans; nevertheless, you should avoid them. Why? Read: “10 Top Most Factors about Ulips”. However, if you still want to invest in them to avail section 80C deduction please read, “5 Secrets about ULIPs” and “Best Ulips based on IRR”. 11. Mutual fund pension plans: Another variable return instrument available under section 80C is pension plans of mutual funds. There are only two such plans available in the market –Templeton India Pension Plan (TIPP) and UTI Retirement Benefit Pension Plan (UTI-RBP). These are open-ended debt-oriented mutual fund schemes with a maximum exposure of 40% to equities. In the long run, you can expect these pension funds to deliver better returns than the assured return schemes like PPF and NSC. However, invest in them only if can spare funds for the long term because premature exit is very costly. Also, please don’t confuse them with pension plans of insurance companies. 12. Pension plans of insurance companies: Contribution towards pension plans offered by insurance companies qualifies for tax benefit under section 80CCC instead of section 80C. However, the aggregate deduction allowed under section 80C and section 80CCC can’t exceed Rs one lakh. There are basically two kinds of pension plans offered by the insurance companies: traditional pension plans which invest mostly in fixed income products and unit-linked pension plans (ULPPs) which are more flexible. If you want to invest, make sure that you buy pure pension plan without a life cover. Also note that while pension (or annuity) is taxable, commutation of pension is tax-free. For details, please read, “5 Common Sources of Tax-Confusion”. In next post, I’ll discuss about various conditions and restrictions imposed under section 80C. Meanwhile, if you’ve any other idea or question about section 80C, please share them in the comments below. The maximum amount of deduction you can claim under section80C combined with section 80CCC (pension plans of insurance companies) and section 80CCD (New Pension Scheme) is Rs 1 lakh. My husband has applied for tax benefit against home loan while I have not.Is it possible for me(being a co owner) to apply for tax benefit against stamp duty, registration charges and processing fee for the home loan, provided my husband has not. Deepali: Yes, you can claim deduction under section 80C for stamp duty and registration charges provided you’ve made the payment. But, housing loan processing fee is not eligible for deduction u/s 80C. Hi My wife has took NSC bonds for 20k and she is not working, Is it possible to show them i.e. NSC bonds as tax savings for me. Satish: You can’t claim section 80C deduction on the NSC purchased by your wife. Please let me know that wheather monthly repayment of GPF advance is counted as "savings" for the porpuse of income tax ? Ammu: Why do you want to invest in your wife’s name? need your advice my dad retired last month , he wants to invest his retirement money . please advice where to invest NSC or SCSS. Which one is better. I just want to make sure he should get monthly income as well the money should grow for him. my 15 lakh deposit under senior citizen saving scheme 2004 has been extended for another 3 years w.e.f 20 jan 2010 as per provision.am i going to get interest @9% as before?am i entitled to get 1lakh deduction under 80C for 2010-11 financial in income tax? My wife and I work in the same company. We stay in a rented accomodation in Bangalore, whereas our own house is in a city outside Bangalore. What are the various tools where we can both claim tax exemption? Many many thanks for keeping this updated. Your initiative is highly appreciated.